State Department spokeswoman says it is "likely" that U.S. representatives will take part in ceasefire talks between Israel and PA. The United States said Tuesday that it expects to participate in Cairo talks between Israelis and Palestinian Arabs aimed at securing a lasting ceasefire in Gaza, AFP reported. "I think it is likely we will be participating in these talks," the news agency quoted State Department spokeswoman Jen Psaki as having told reporters. "We are determining at what level and in what capacity and when," she added. Israeli and Palestinian Authority delegations headed to Cairo on Tuesday as a 72-hour truce took hold in Gaza, after 29 days of fighting. 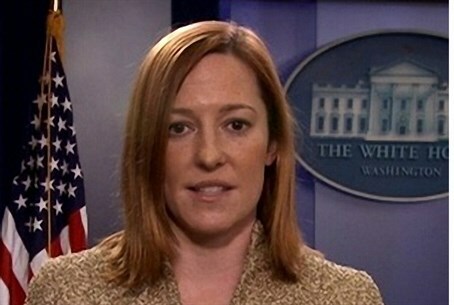 When asked if the two sides had sought a U.S. presence at the negotiating table, Psaki said, "I think our effort and our engagement on this process from the beginning has been welcomed by the parties." According to AFP, diplomats in Washington seemed to be caught by surprise on Monday by Egypt's announcement of a truce proposal, which was eventually hailed by the White House. Washington however underlined the need for Islamist movement Hamas to make good on its promises. "I think our engagement over the past 10 days has built and led to the point we reached last night," Psaki said, mentioning Secretary of State John Kerry's efforts on the issue, both in the region and from Washington. Hamas has taken advantage of past temporary ceasefires to continue to fire rockets at Israeli citizens but, other than a barrage of rockets at 7:58 on Tuesday morning, two minutes before the ceasefire went into effect, it has been quiet.